The season 8 premiere ofGame of Thronesis the beginning of the end for the show, which is wrapping up in May. To acknowledge the coming end, the showrunners used that premiere to bring audiences full circle, back to the beginning of the series. 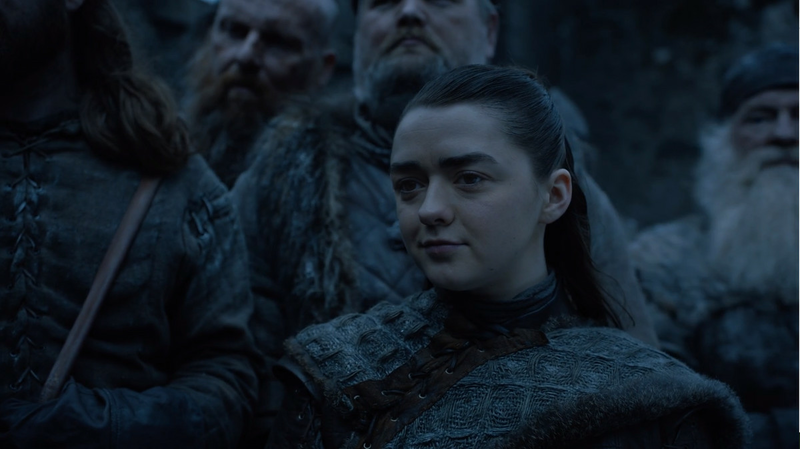 Episode 1 of season 8, “Winterfell,” is full of visual and narrative parallels with season 1, episode 1, “Winter is Coming,” from the episode names to the setting, and down to specific character dialogue. Some of these parallels are obvious to avid show watchers, and even if they aren’t, the executive producers point them out at the end of the episode. As executive producer and writer David Benioff explainsin a behind-the-scenes clip for season 8, the procession of Queen Daenerys’ arrival in Winterfell mirrors Robert Baratheon’s arrival, seven seasons earlier. “The pomp and majesty of Dany’s arrival just felt like the natural place to start the season,” Benioff says. “It’s a whole new procession, and so instead of Robert arriving with Queen Cersei and Jamie Lannister and the Hound, it’s Daenerys coming with Jon Snow.” While the two arrivals do mirror each other, there are key differences: Daenerys rides alongside Jon Snow on a horse, signifying their equal status, while in the pilot, Cersei rode in a carriage, and the crowd couldn’t see her until she stepped out upon arrival. Robert rode his horse and needed a stepping block to reach the ground. Also purposeful is the inclusion of a little boy running and climbing a tree to get a better view of the procession, as Arya smiles at him. 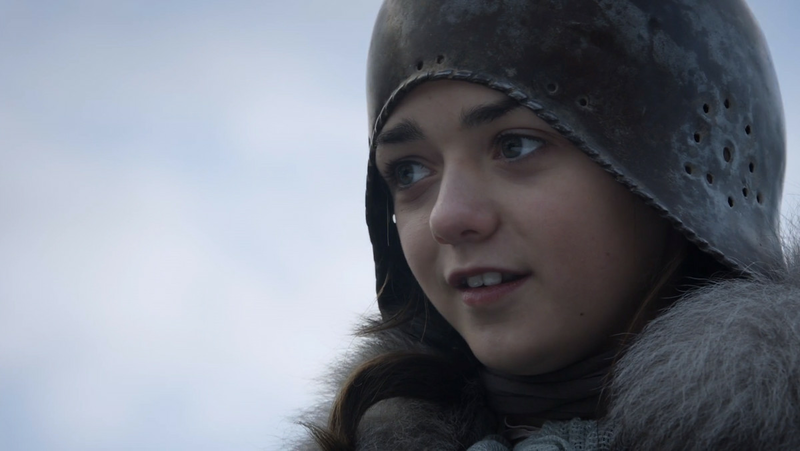 “Looking back to the very beginning and how young Maisie [Williams, who plays Arya] was back then, and wearing the Stark soldier’s helmet falling over her head, she just looks like a little kid. And now she’s a grown woman, and she’s there watching again. But this time, she steps aside to let a little kid watch, because she remembers how thrilling it was,” says Benioff. 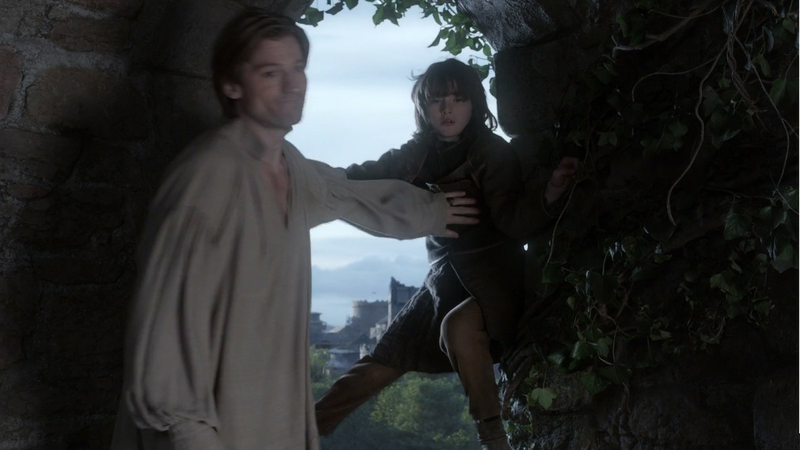 The little boy is also reminiscent of Arya’s brother Bran in the pilot, where he was obsessed with climbing. Butattentive Redditors have pointed outeven more similarities between the pilot and the season 8 premiere. Both episodes start with the same music, there areominous messages left by the White Walkers, and there’s a central focus on the Starks in Winterfell in both episodes. That’s arguably even more true in the season 8 premiere than in the pilot, which also spends a fair amount of time with the Targaryens in Pentos. Jon and Arya reunite in the season 8 premiere and talk about Arya’s sword, Needle, as they did in the pilot, when Jon first gave Arya the weapon. This time, they meet in front of the weirwood tree, and they also discuss Valyrian steel, a choice metal that can kill White Walkers. (Similarly, Arya’s parents, Ned and Catelyn, met in front of the Weirwood in the pilot to vent their worries.) The ground around a weirwood has been shown to burn wights, so both the wood and steel could become valuable resources against the coming war with the undead. Like Cersei, a southern queen, entering Winterfell for the first time, Daenerys feels unwelcomed by the Starks and their bannermen. Both women try to play off this discomfort by paying compliments: Cersei calls the North “beautiful country” and says Sansa is a “beauty,” while Daenerys tells Sansa, “The North is as beautiful as your brother claimed, as are you.” The North, after huge events that havechanged its rulershipseveral times, still distrusts foreigners. 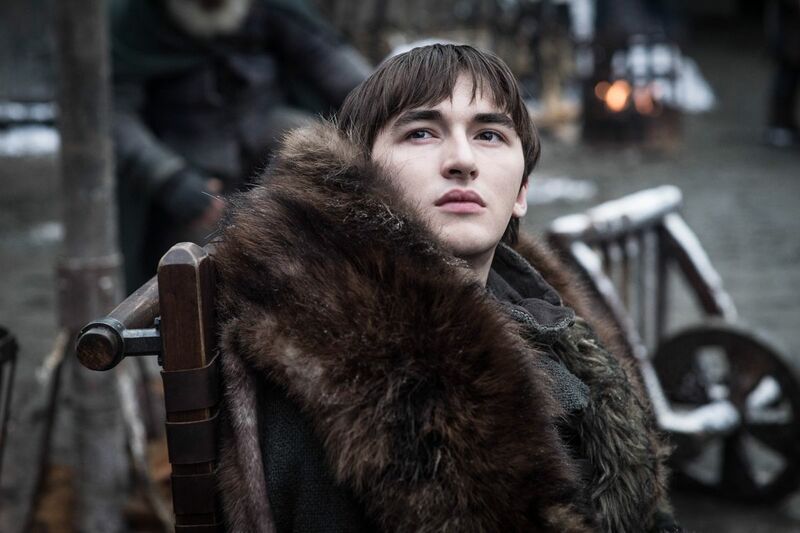 One of the biggest parallels comes in the revelation that Sam levels at Jon Snow:Jon is the son of a Targaryen princeand the true heir to the Seven Kingdoms. Like Robert and Ned before them, Sam and Jon convene at the Stark crypts. Just as Robert and Ned discussed Lyanna Stark while standing in front of her tomb, Sam and Jon discuss Ned in front of his tomb. More about Jon’s heritage: in the pilot, he embraces a direwolf, Ghost, which is the Stark sigil. In the season 8 premiere, he rides a dragon, the Targaryen sigil. All of these parallels help ground the series in canon, especially since we’re now beyond George R.R. Martin’s source books and are entering fresh territory. They also help illustrate how much character development and plot has taken place in seven seasons. Winter is here, and everyone is dressed in heavy furs, as if they’ve joined up with the Night’s Watch. The surviving Stark children have grown up, and they’re tougher and more prescient. Daenerys has emerged from her brother’s shadow, and her dragon eggs have hatched into intimidating beasts. So much has changed in seven seasons, but a lot has stayed the same.